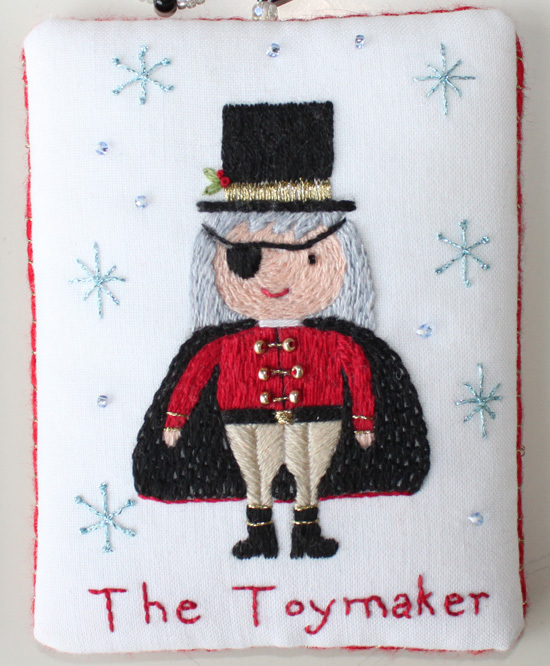 I finished up the last in the series of Nutcracker ornaments this weekend. It seemed easier to do the ornament-making steps all at once when I had the materials and tools out. So here they are! The whole set in a photo together! I have to say these were surprisingly fun to do. There was no expectation of super fine stitching like the stumpwork is sometimes. I actually managed to do a variety of stitches too. There is plenty of sparkly metallic threads, just as Christmas ornaments ought to be! They look fantastic, you've done a great job! Love!!! I gave you another shout out today on my blog!! Wow these are great! Is this your own pattern; and will they be available? These ornaments are stunning and so whimsical! I really love your style, Emily!